As we begin moving into cooler weather here in Sydney, it’s a good time to look at what and how you’re eating. 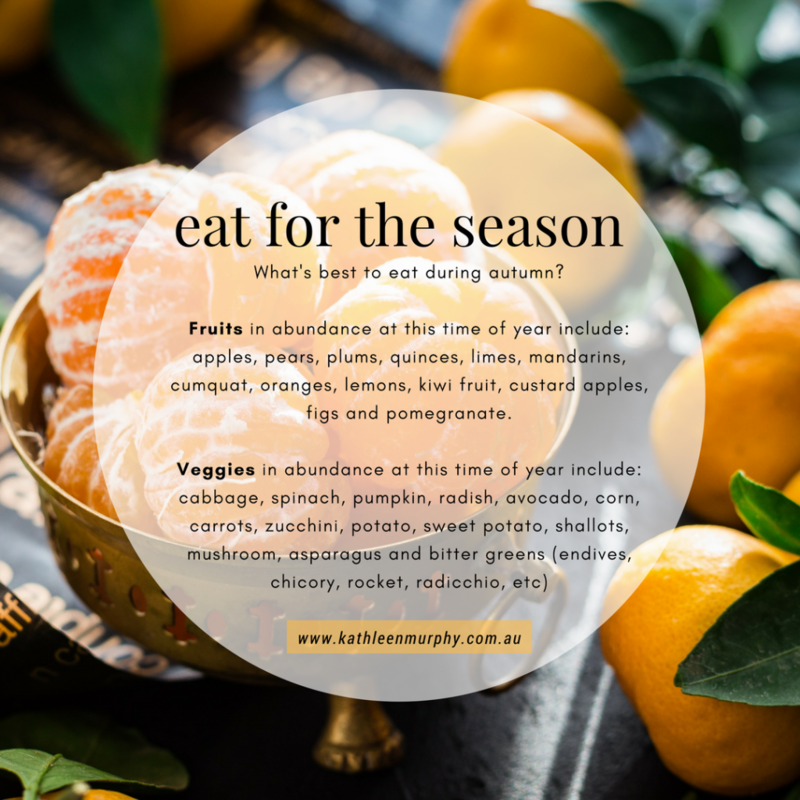 Different seasons bring with them different foods and flavours – which, interestingly, tend to match our nutritional needs. For example, throughout Autumn and into Winter, we see an abundance of fruits high in vitamin C and veggies rich in bioflavonoids. The season is ripe with nourishing, nurturing foods that are often best enjoyed when cooked slowly and/or eaten in warm dishes. A perfect match for cooler weather! What’s on your plate at the moment?